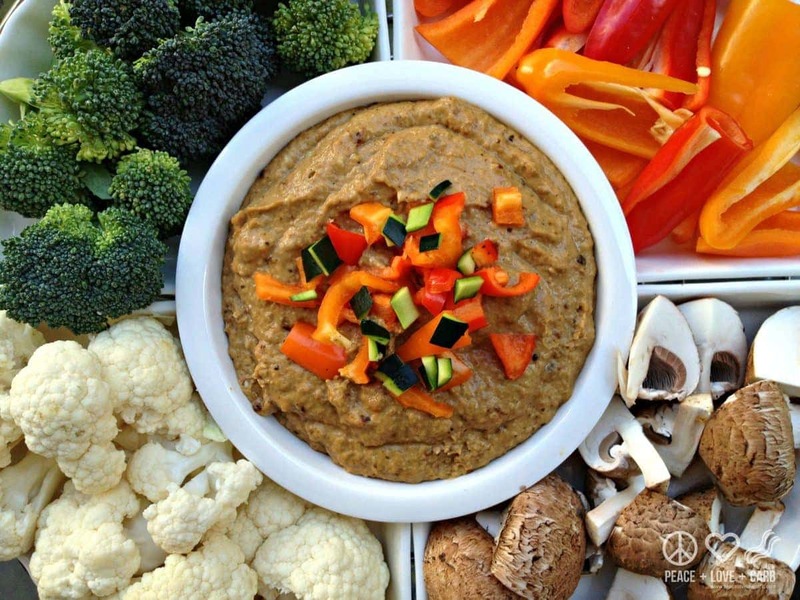 I have had so much fun creating different low-carb, paleo hummus versions. If I am going to a get together that requires me to bring a side dish, I love to do a hummus trio and serve it with fresh vegetables on the side. Then I love to watch people’s faces when I tell them there are no garbanzo beans in the recipe. In a large sauté pan over low-medium heat, add 2 Tbs. olive oil, onions and pinch of salt and pepper. Cook until onions are nice and caramelized. About 20 minutes. In a food processor, combine zucchini, caramelized onion, lemon juice, tahini, garlic, remaining 1 Tbs. olive oil, cumin and sea salt. Pulse until smooth and creamy. Refrigerate at least one hour prior to serving. Can you tell me what Creamy Roasted Tahini is and where I would get it ? This sounds really good ! I am able to find it at the grocery store with the other nut butters. IF you cannot find it at your local store, you can always buy it online. The link in the ingredient list above will show you where you can buy it online.